Over the last month, I also accomplished some of my least favorite things... finishing. 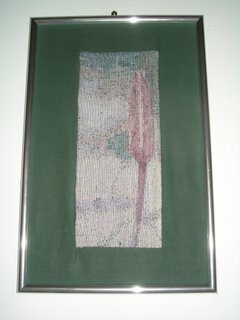 I worked on framing two of my tapestries. Of the two, one is without question a tapestry. The other might not be considered a tapestry depending upon your definition. There were days upon days of discussion on the tapestry list on whether the so called 'tapestries' from Magnolia Editions were indeed tapestries. I find the distinctions and arguments on this tapestry issue somewhat saddening and reminiscent of the political diatribes going on today. 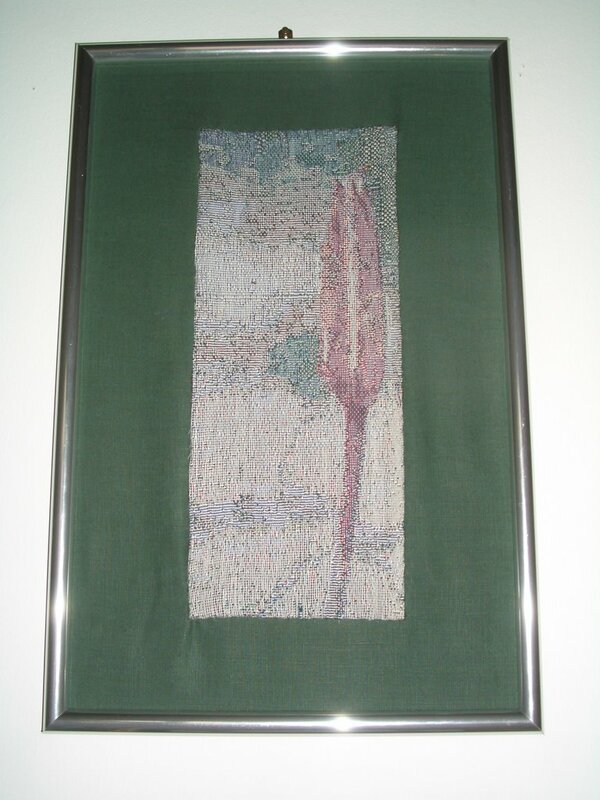 But anyway, here's a photo of my jacquard weaving called China Lily. This is the one I did in the three day workshop I took at Convergence on Color Optimization. It was woven on a TC-1. With seven colors of rotating warp, a color palette of sixty colors is created through color optimization. Of course, in this piece the color range is not that broad. I doubt there are more than twenty colors used here. I sewed the piece onto linen and wrapped the linen around a backing. There was a bit of puckering in a few places around the edges but pretty good for my first time framing this way. It looks nice with the companion piece I wove a couple years ago from the same photo . 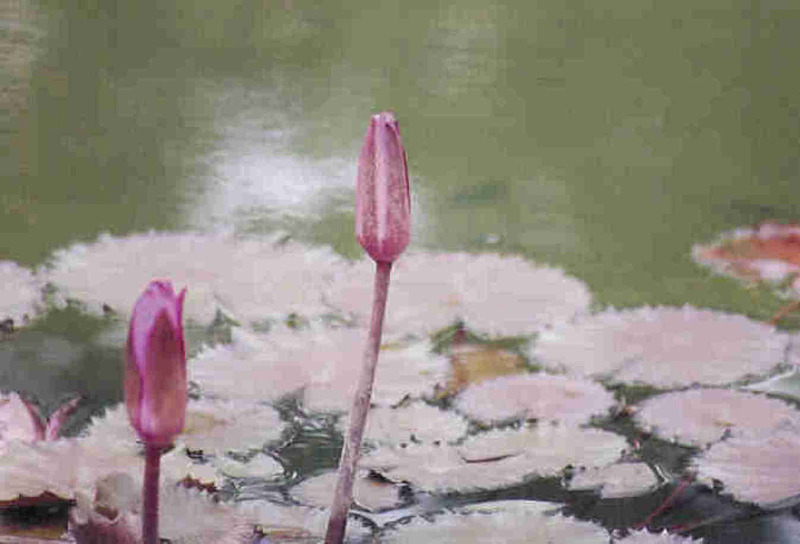 I took the photo while visiting in China during a previous life.